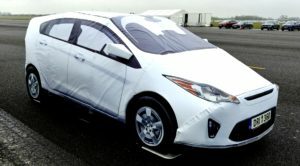 Dynamic Research Inc.(DRI) , recently conducted a study for the American Automobile Association (AAA) together with the Automobile Club of Southern California’s Automotive Research Center in the Spring of 2016 which involved the use of the Guided Soft Target (GST) Test System (Low Profile Robotic Vehicle and Soft Car 360®) to test the Automatic Emergency Braking (AEB) capabilities of several different vehicles. Dynamic Research Inc.(DRI), in collaboration with 6D Helmets LLC, has been announced as one of five winners of Round 1 of the Head Health Challenge III to develop advanced materials to improve impact safety. The $250,000 award will support optimization, using the LS-DYNA finite element software, of 6D’s patented Omni-Directional Suspension (ODS) technology. The DRI/6D team is competing with the other Round 1 winners for the $500,000 grand prize. The Head Health Challenge is sponsored by the NFL, Under Armour, GE, and the National Institute of Standards and Technology in order to develop materials that will result in increased safety and protection for athletes, the warfighter, and civilians.